To be in love is great, but to be loved by someone is much greater. Let your girl realize that the love you have for her is more than anything in the world. Even if both of you had harsh arguments or misunderstandings, let her know that her absence is cruel and painful. 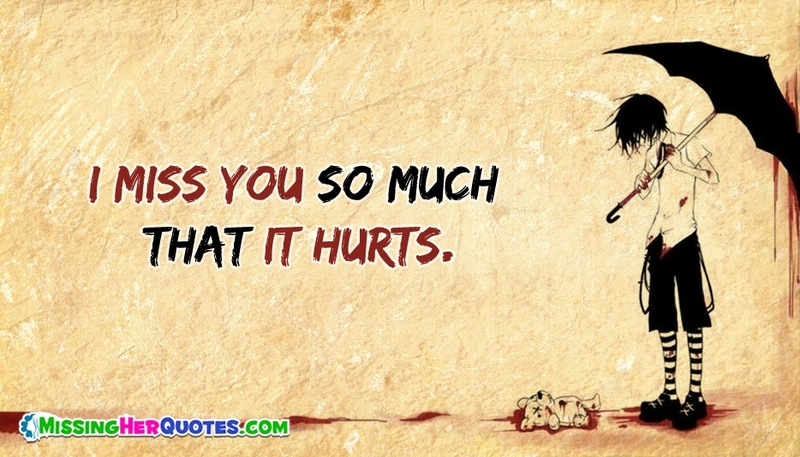 Send this "I Miss You So Much" and make her realize that you cannot survive in her absence.